In today’s competitive climate where business can’t stop and downtime is measured in profit or loss, power problems on a LAN can be disastrous for any corporation. With this primacy, ONLINE FOR SUPPLIES believes in offering its customers a comprehensive solution to power problems and actively investigates potential new products to reach this goal. ONLINE FOR SUPPLIES Power-Team caters to the entire range of APC Products giving solutions from protecting a network card to scalable, redundant power protection for centralized servers, data centers and high availability applications. 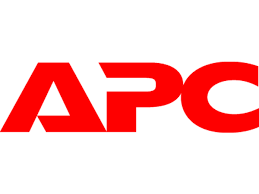 ONLINE FOR SUPPLIES offers the entire range of APC UPS from 300 VA to 480KVA along with qualified and professional assistance in pre-sales, site inspection, installation / commissioning of the project and provides after sales and on-site service. Cooling solutions for the IT Environment. Management tools to remotely monitor and control, easily and economically. Video surveillance, access control, and environmental monitoring solutions. Surge protection, TVSS and line conditioning products to safeguard your equipment from everyday power surges, lightning strikes, and other power anomalies. Comprehensive power distribution, which includes Stationary PDUs, Rack PDUs, and Rack Automatic Transfer Switches, for your Network-Critical Physical Infrastructure needs.